Innisfree has a place in my heart especially for the skincare. 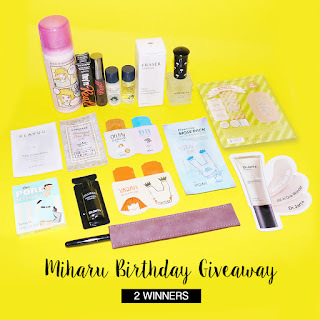 I love the natural concept and how their products are free from harmful ingredients. 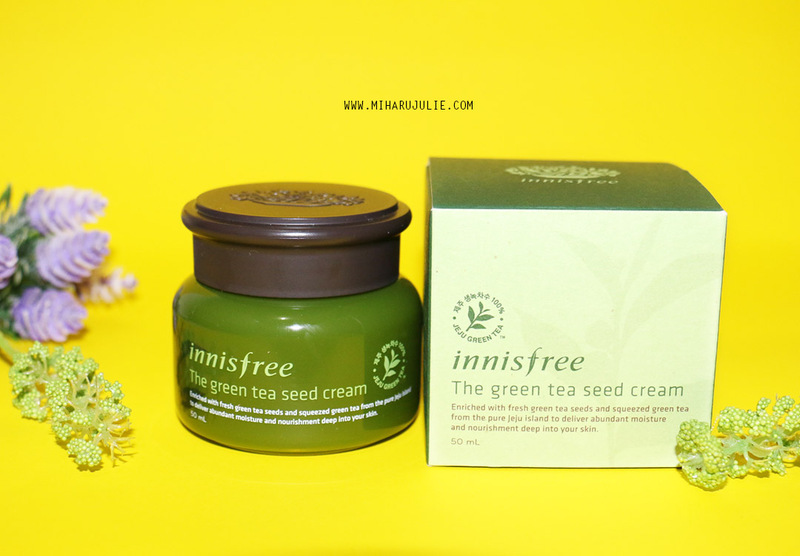 The Green Tea Seed Deep cream is one of many creams in the Innisfree Green Tea lineup. 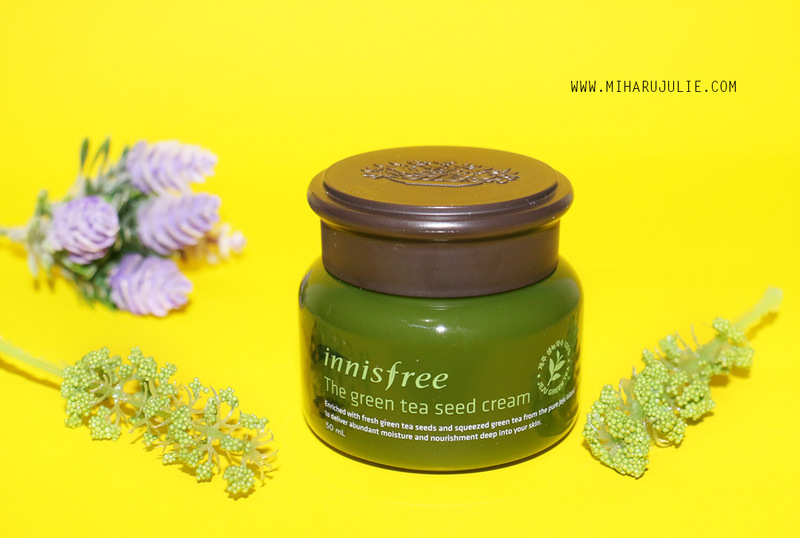 I bought it from HERMO ID, and I must say, this definitely helped to heal my dry skin.. Innisfree’s green tea pure line is made with 100% Jeju organic green tea water. 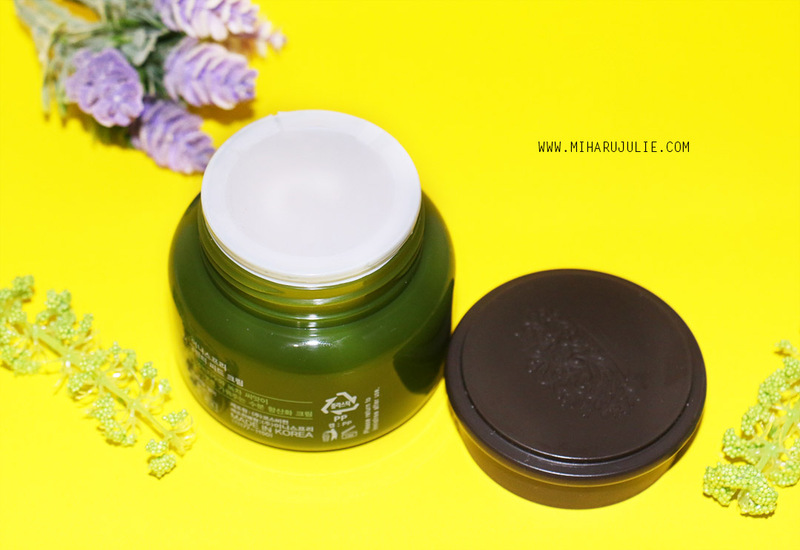 The Green Tea Seed cream is a moisture cream with Jeju eco-friendly green tea seed is formulated to provide excellent moisturizing and anti-oxidant effects to your skin. It also refines the skin for clarity and suppleness. Green box made from recycled paper just like typical Innisfree products. 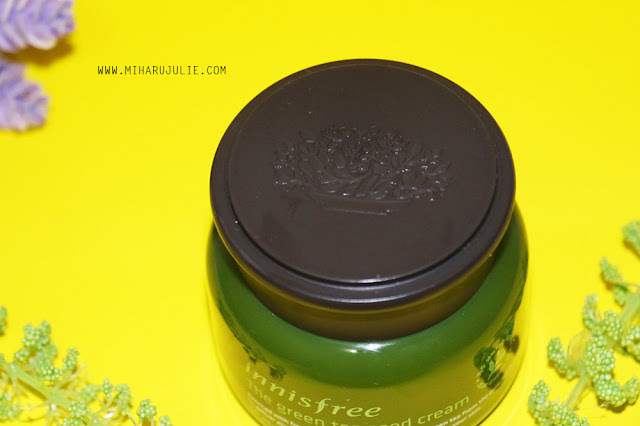 The jar is green and sturdy too but you do need to get the product out with your fingers. Not so hygienic, but just make sure that your hands are clean when scooping the product out, you can use a spatula or just take out sufficient quantity at one go. A moisturizing and nourishing serum containing eco-friendly Jeju fresh green tea and green tea seeds More moisturizing and refreshing than ever before! 3. 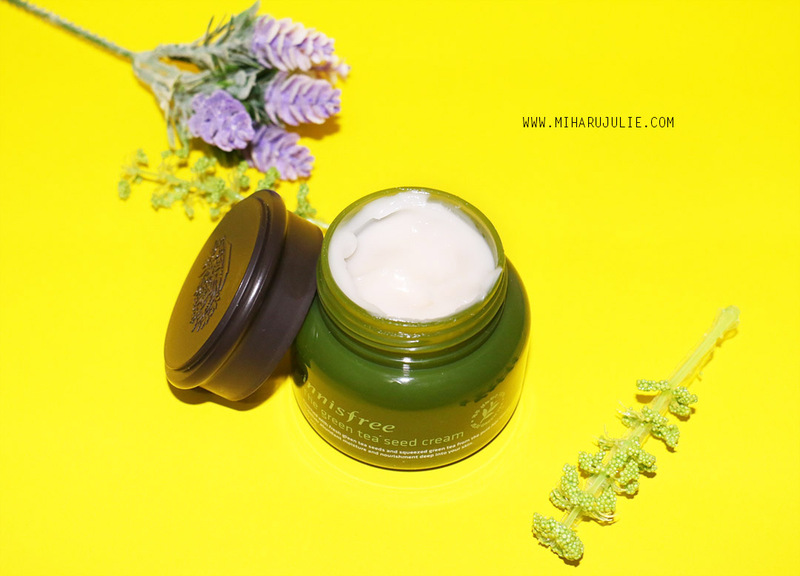 With the help of the antioxidants naturally present in green tea, this cream rich in moisture keeps skin healthy and moisturized without stickiness. Put a small amount of cream into your hand and apply it around your face and neck. Texture is creamy, light and you can spread it easily. but not too thick and not sticky at all after getting absorbed. The color is white just like normal white cream. 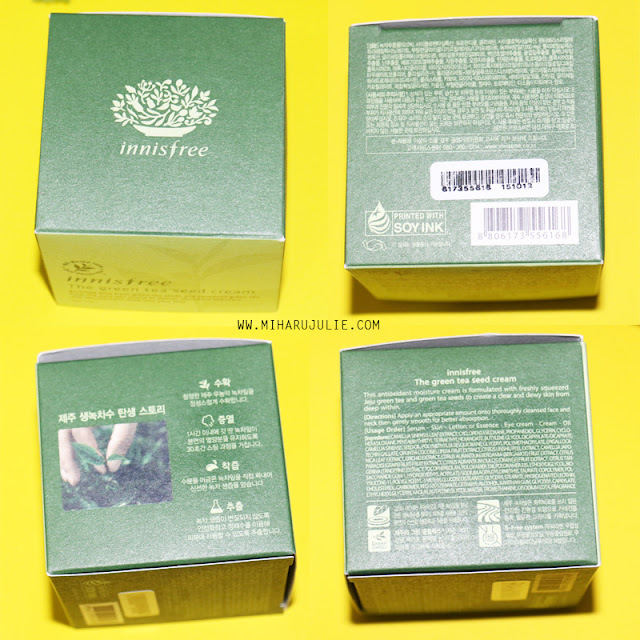 Innisfree doesn't use artificial color so it's the natural cream color. 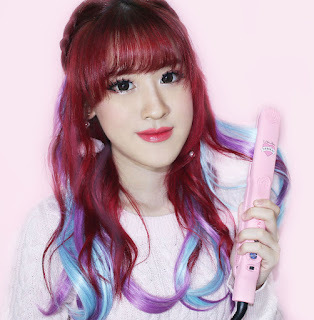 It absorbs into the skin within a few seconds, it has a bit of a cooling effect and it leaves the face soft and supple. It has a very fresh scent which isn't overwhelming. 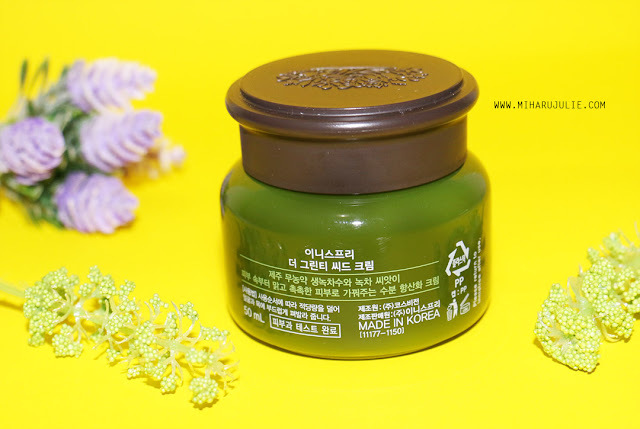 It has a bit of a green tea and floral scent to it which I really like. It's refreshing, natural and fresh. Overall, Since I have a very dry skin so I decided to use this as a night moisturiser and wake up feeling really moisturised, so much so, my skin was glowing in the morning. The consistency is quite thick, so I do not use too much of it, more like a few dots around my face. Once applied, it feels a bit oily and waxy, but in a pleasant way. I can feel my face skin is different, feels smoother and hydrated. The smell very nice too. I recommend for you who have very dry skin like me! because it's really worked! I love insider products, I recently ordered a few pore masks and creams and they are so good! I would like to try this cream! Sounds very nice, thanks for sharing! I've always been tempted to use this mask :) thanks for sharing! Lovely review, thx for sharing. I'd like t try out this cream!!! Parece um ótimo prdouto, gostei da consistencia!